Missing Alert: Do you know where they are? 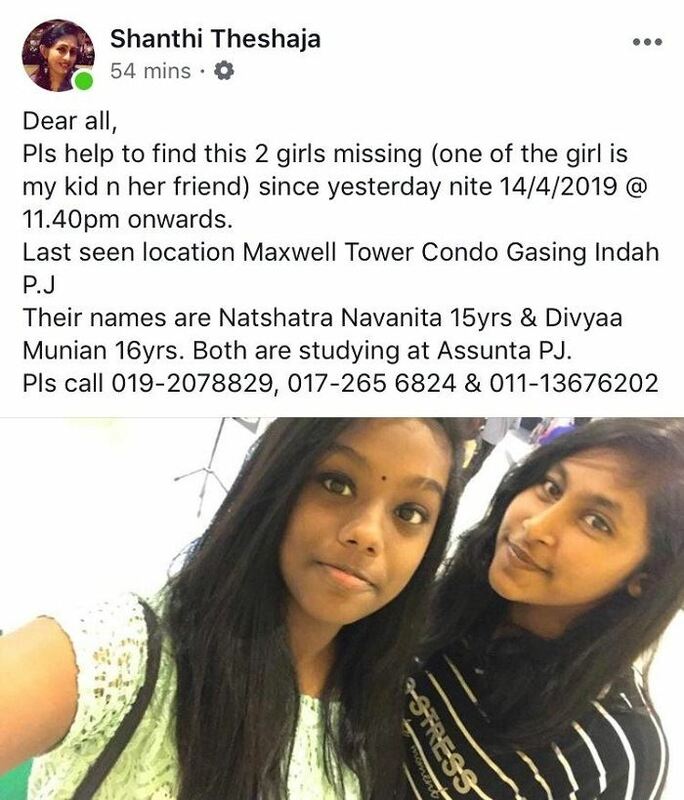 Two teenage girls are feared missing, after spending the Tamil New Year together yesterday. They were last seen at a condo in PJ. According to reports, both girls, aged 15 and 16, were last seen outside the condo waiting for an e-hailing ride. Police confirmed that they are investigating the case. Perak Police say they no power to cordon off the search area for missing runner Mohammad Ashraf Hassan or Acap, to the public. It was responding to a request by Acap's family, who said that the having members of the public there could complicate search and rescue efforts. However, cops say it's impossible to seal off the area, as it's a recreational place. 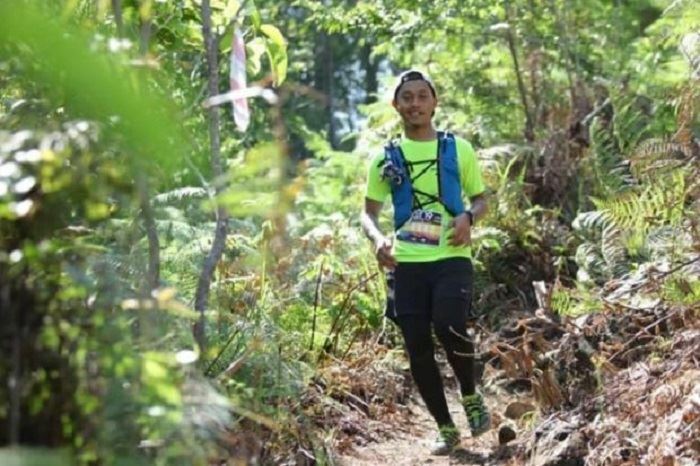 The 29-year-old, disappeared while participating in a jungle run in Gopeng on March 23rd. Malaysia Rail Link, the company implementing the East Coast Rail Link says the project will get off the ground soon. It says work will start as early as next month! 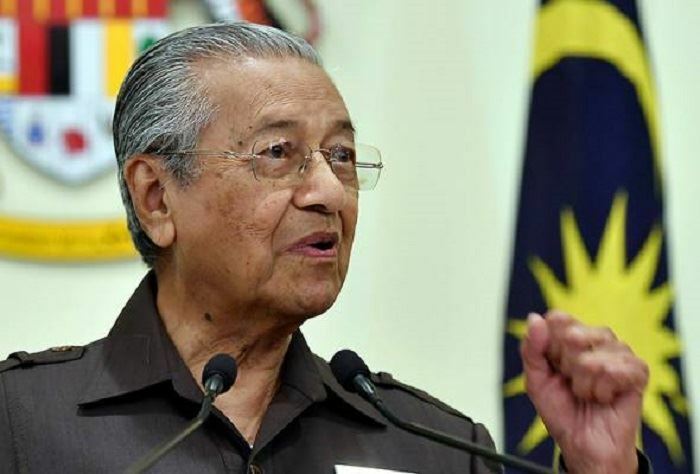 Meanwhile, PM Tun Dr Mahathir Mohamad says the PH government has never been against the East Coast Rail Link project. Tun M explains the govt's concerns about the original agreement that was signed by the previous administration. He thanked China for returning to the negotiating table, resulting in the project moving forward, at a reduced cost of 44 billion ringgit, a third less than its original cost. 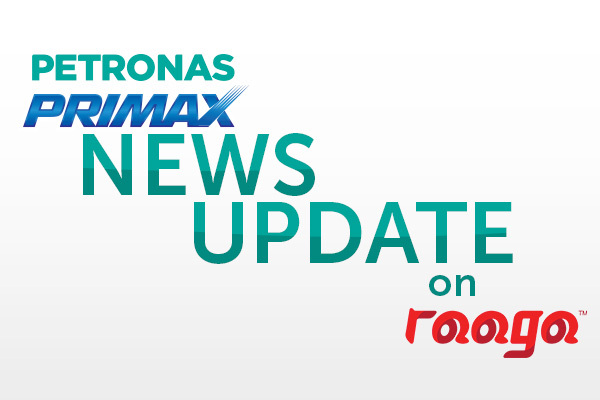 Find out what's happening locally and abroad as well as what's trending, and don't miss out on the results of your favourite sport! RAAGA, All Asia Broadcast Centre, Technology Park Malaysia, Lebuhraya Puchong-Sg. Besi, Bukit Jalil, 57000 Kuala Lumpur.